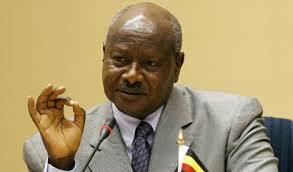 President Yoweri Museveni has hailed the late Constance Byamugisha, describing her as a brave woman. This was contained in his condolence message delivered by the Prime Minister Amama Mbabazi, during the requiem service held this morning at All Saints Cathedral Nakasero. The president said Byamugisha worked hard to help the judiciary fight corruption. He said she always had a fair and balanced judgment and was incorruptible. The president added that before she joined the judiciary, Byamugisha was a political activist who contributed greatly in bringing down Idi Amin’s dictatorial regime. Meanwhile Justice and Constitutional Affairs Minister Maj. Gen. Kahinda Otafire has described the fallen judge as a woman of integrity who was committed to serving her country diligently. The service was attended by the former Chief Justice Wako Wambuzi, the late Byamugisha’s predecessor retired Justice Alice Mpagi Bahigeine, several senior judicial officers and government officials among others. Justice Costance Byamugisha succumbed to breast cancer yesterday at the age of 68. She had served the judiciary for 37 years in various capacities. At the time of her death, Byamugisha was the Deputy Chief Justice and was also Court of Appeal and Constitutional Court Judge. She is survived by 5 children and 11 grandchildren and will be laid to rest tomorrow in Kabaale district.